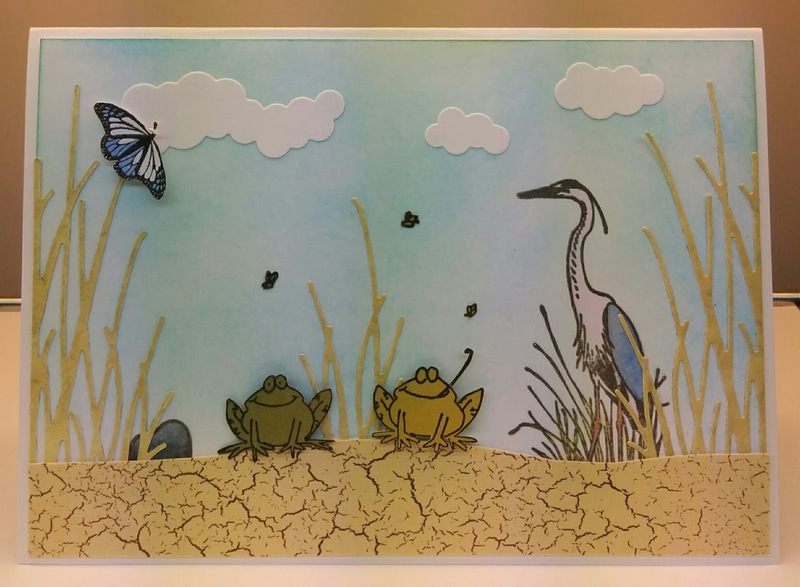 I just finished a new spring scene card. I made the stems using only one die. This shows how a die can be so versatile! A really pretty waterside scene, many thanks for sharing with us at Penny Black and More challenge. what a lovely spring card! i love all the elements you've used to create this scene and i love the dimension. thank you so much for playing along with us at the penny black and more challenge. Such a pretty card! Thanks for joining us at Penny Black & More and good luck! Totally gorgeous scene with cute animals!